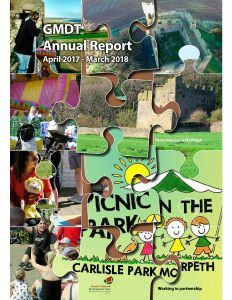 Twice a year the Arts & Culture group organise an Authors Evening, where we showcase local and nationally recognised authors. 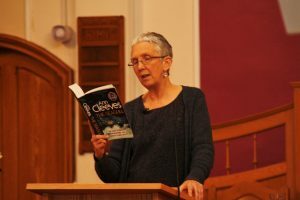 In Nov 2017, we were very pleased to have internationally recognised crime writer Ann Cleeves visit Morpeth to read and discuss her latest Vera novel “The Seagull”. 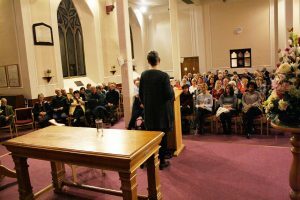 Ann is in demand around the world due to the huge success of her books and TV series of both “Vera” and “Shetland”, and GMDT appreciated her supporting this type of local event which she normally would not do.